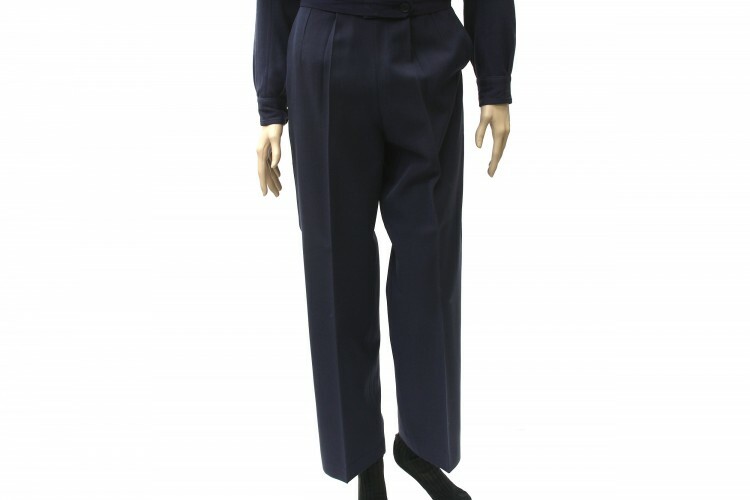 These Santiago blue wool trousers were worn with the short-waisted coat. 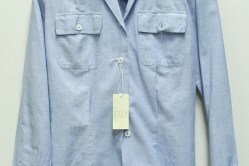 They have front pleats and a side zipper. 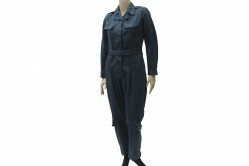 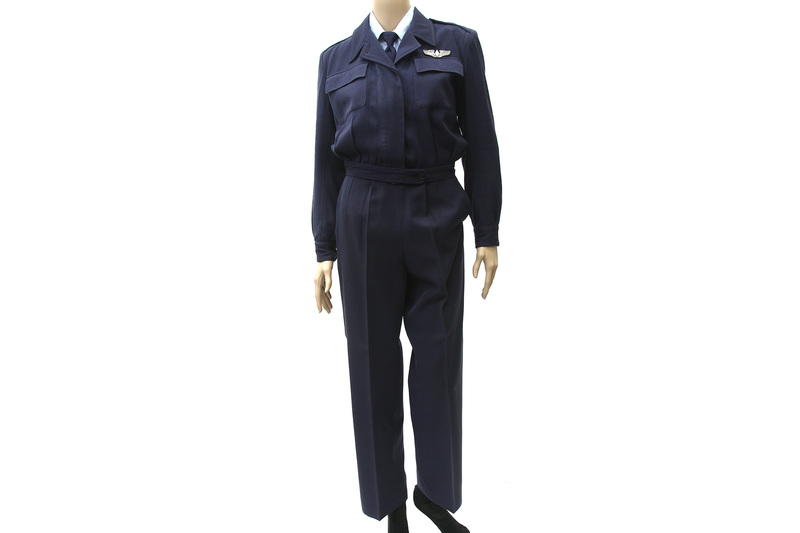 This uniform was specially designed for the WASP and were issued on 11 February 1944. 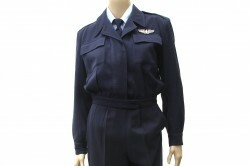 They were donated by WASP, Virginia “Scotty” Gough, Class 44-W-7.